Aviation Updates Philippines - Dubai-based carrier, Emirates, is asking another 30-day extension to operate its extra third daily flight. However, both carriers, Philippine Airlines and Cebu Pacific opposed on Emirates' request to operate these flights until January next year. According to Emirates, they requested to extend operating these flights to serve the growing demand between the United Arab Emirates and the Philippines. Once again, Cebu Pacific and Philippine Airlines rejected its petition to extend operating its third daily flight. According to the Philippine Star, Emirates, through Puno & Puno Law Offices, filed a petition before the CAB last Dec. 15 seeking a third 30-day extension for its third flight to and from Dubai via the Ninoy Aquino International Airport. "This request is a direct insult to CAB and the Filipino people since it is in effect asking for authority to legitimize its sales practice that was shut down and for which it was fined P1.8 million by CAB last week precisely because it was illegal," Cebu Pacific Air and Philippine Airlines said in a joint statement. In accordance to the existing air agreement between the United Arab Emirates and the Philippines, Emirates is only allowed to operate two daily flights to Manila. The Civil Aeronautics Board gave its second extension until December 26, 2014, but continued selling its extra third daily flights until October 2015. 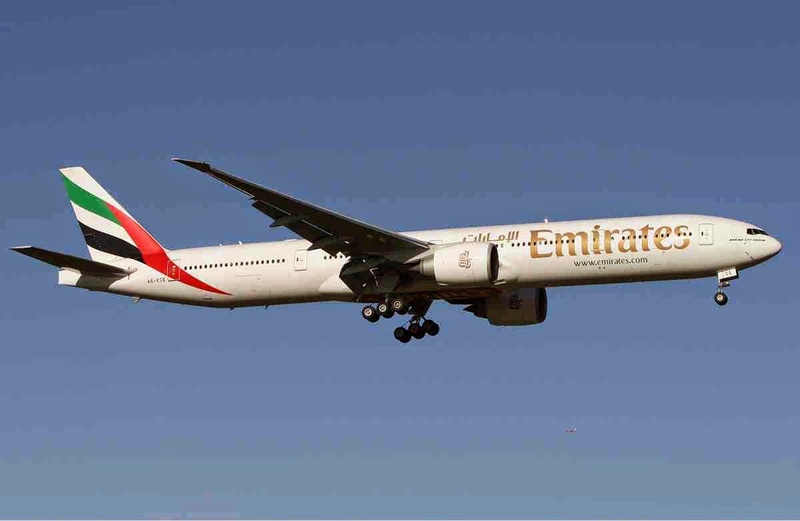 Emirates was recently fined P1.8 million pesos from the Civil Aeronautics Board for violating Republic Act No. 776 which does not allow the board to grant any increase in capacities for more than 30 days. According to the flag carrier, Emirates is violating Section 42(b) of Republic Act No. 776 since it is offering flights beyond the period that the CAB allowed in its resolution dated October 13, 2014. The resolution allowed Emirates to operate an additional seven frequencies between October 27 and November 26 despite objections from the Philippine carriers. Emirates said that all its flights, including the extra flight, supported over 4,300 jobs in the Philippines, through direct employment as well as via the supply chain of catering, ground handling and other associated air travel services, according to a report. “Emirates is not seeking any additional flights to Manila over and above its current operations. The airline’s third daily flight on the Dubai-Manila route was implemented in January 2013 and has since become an integral part of the service which is extremely popular with travelers,” Emirates said. “We currently operate 3 daily flights between Dubai and Manila, which not only serves the growing demand for travel between both countries, but also connects the Philippines with over 800 flights a week to other key cities in our global network—cities which are currently not served by airlines of the Philippines. Our flights and network enables travelers from the GCC, Middle East, Africa, Europe, and the Americas, to easily reach the Philippines with just one convenient stop in Dubai,” Emirates Divisional Senior Vice President for Commercial Operations, Barry Brown said. Philippine Airlines and Cebu Pacific rejected Emirates’ claim that national interest warrants an extension of its third daily flight between Manila and Dubai, according to Interaksyon. "National interest is based on rule of and respect for law. Emirates had no right to sell tickets without government approval. National interest is never served by an illegal act," the two Philippine carriers said. Emirates, as reported by Rappler.com, continues to gain support amid steps to remove its third daily flight between Manila and Dubai. Its camp now consists of a lawyer, who said that Emirates’ long-haul services help thousands of oversees Filipino workers (OFW) in Dubai visit their home country frequently. "The third daily flight of Emirates is helping our thousands of OFWs there who want to come home more often to visit relatives, and is promoting trade and tourism between the two countries," OFW Family Party List Representative, Roy Señeres Sr. said on Friday, December 19. According to the report, an estimated 850,000 Overseas Filipino Workers (OFW) lives in Dubai and across the United Arab Emirates. Emirates said that by 2020, there will be over 1 million Filipinos that will live in the UAE, and its flights will greatly help in transporting the Filipinos between the two countries. Emirates said that it was not seeking any additional flights to Manila over and above its current operations. "Our third daily flight on the Dubai-Manila route was implemented in January 2013 and has since become an integral service which is extremely popular with travelers," Emirates said in a statement.